Have you been looking on the internet for piano lessons London? 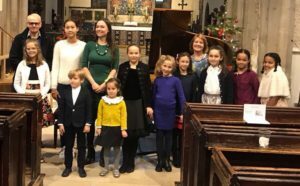 Professional pianist, harpsichordist and qualified piano teacher Edyta Lajdorf is available for lessons in Central and West London. 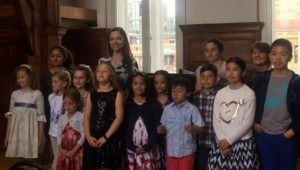 I offer piano lessons for children from the age of five and adults. I’m happy to teach all standards and levels – from beginners to diploma level. I prepare my students for exams (Piano Grades 1-8 and DipABRSM, Music Theory Grades 1-8, Music GSCE and Music A-Level). In my teaching practice I work on a range of elements that benefit my student's overall musical development. Firstly, we work on the ability to read music, whilst improving the technique. In addition, we focus on improvising, playing by ear and developing your knowledge of the music theory. Aural, harmony and general musicianship are another important elements I teach. Additionally I’m happy to work on classical and popular repertoire depending on your preferences. Furthermore, I prepare my students for concerts, competitions, exams and auditions for specialist music schools. I strongly encourage my students to participate in concerts I organise for them. Since it’s a great opportunity to show friends and family what great progress they’re making, a performance also encourages everyone to practice and have a clear goal they’re working towards. Are you interested in piano lessons for adults in London? Have you always dreamed of being able to play the piano but maybe didn’t have enough courage to sign up for the first lesson? It’s never too late! Do you want your child to start piano lessons but you’re not sure if it’s too early? The optimal age to start playing an instrument is 5 years old. On the other hand, I have two 4-year-old students and they are making great progress. Everything depends on your child’s concentration skills and interest. Since every child is different, I’ll always make a plan individually for each student. I’m happy to work on classical and popular pieces depending on your child’s preferences. During the lessons we cover all aspects of musical development such as learning how to read music and playing by ear. Furthermore, we explore our aural skills, learn about history of music and composers from different periods of time. Another element we would cover during the lessons is improvisation. Artistic creativity has a significant impact on the construction of human sensitivity and ways to express their emotions, feelings and moods. Hence I always encourage my students to improvise or compose their own pieces. In conclusion, my aim is not only to teach piano, but to develop love and interest in music in all my students. Twice a year I organise concerts for my students. Whilst it’s a great opportunity for the little performers to show their friends and family what a great progress they made, it also encourages them to practice. 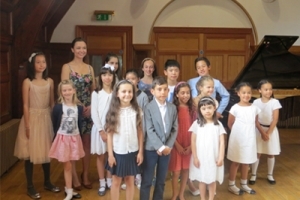 All piano lessons London are delivered by Edyta Lajdorf BMus (Hons), LRSM (Licentiate of the Royal Schools of Music in Teaching), SMISM, Royal College of Music graduate, experienced performer and accomplished teacher. If you want to find out more about me, go to my biography and my teaching biography. 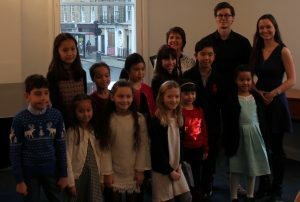 Still have more questions about piano lessons London? Visit piano lessons for kids, your first lesson and FAQ page.